The New York Yankees took an airplane out west and they came back home to the East Coast bruised, battered and beaten. 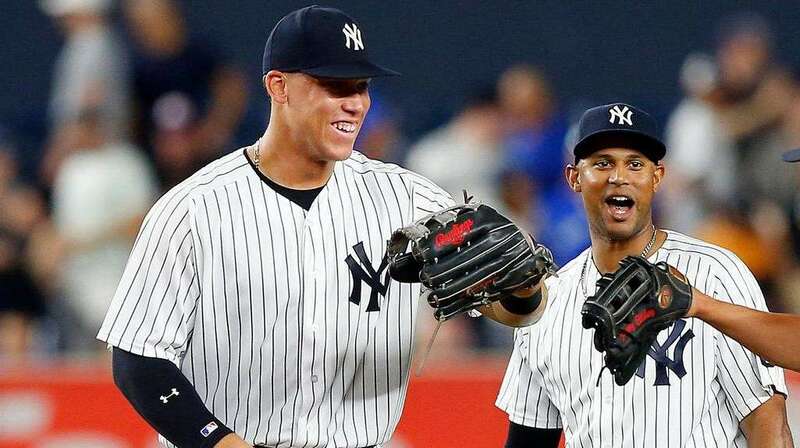 The Los Angeles Angels of Anaheim and the Oakland Athletics absolutely laid the smack down on the Bronx Bombers last week and the USA Today rubbed some salt into their wounds with their weekly release of MLB Power Rankings. The Yankees fell and fell hard. The Yankees were a season-high second overall on the list last week but the team fell all the way out of the Top 5 this week falling four spots to the #6 position overall. Entering their series with the Angels yesterday the team held just a 0.5 game lead over the Boston Red Sox for first place in the American League East and with the injuries beginning to pile on and mount the team needs to turn it around. Now. With the Yankees out of the Top 5 the new structure is as follows. The Houston Astros are still first followed by the Colorado Rockies, the Los Angeles Dodgers, the Washington Nationals and the Arizona Diamondbacks. To round out the rest of the American League East on the rankings you have the Boston Red Sox at the #7 position, the Tampa Bay Rays 11th overall, the Baltimore Orioles 14th and the Toronto Blue Jays smack dab in the middle at #15 overall. The biggest rise of the week went to the Kansas City Royals who rose a whopping seven spots to the #16 position while the biggest fall of the week went to the Cincinnati Reds who bailed out the Yankees here dropping six spots to the #27 position overall. The July 31st trade deadline is looming. Expect mass change here on the rankings and around the league.